It’s this time of the year again – the garden is full of red leaves, the cats stay more indoors, and the temperatures are finally falling. Time for the perfect savory fall pastry: Zwiebelkuchen from Alsace, a wonderful companion for young (or old) wine, that we like serving to guests. 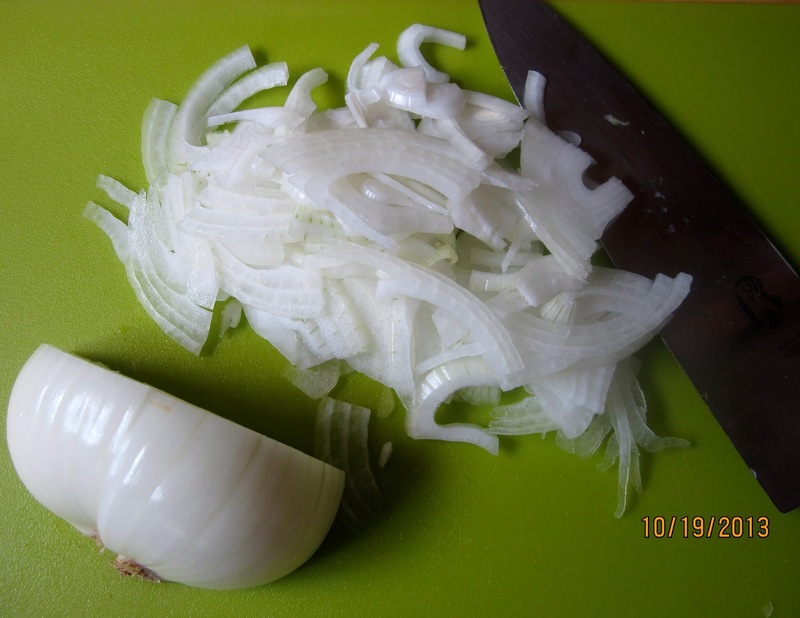 A Spanish onion (or two leeks)…..
It’s fast and easy to make, with frozen puff pastry for the crust, a large Spanish sweet onion (or a couple of leeks) and any aromatic hard cheese you have at hand. Don’t go skinny on the cream, you want a smooth and satiny filling. Place frozen puff pastry sheet on a lightly floured work surface and allow to thaw for about 30 minutes, until you can easily unfold it. Preheat oven to 375ºF (190ºC). Adjust rack to second lowest position. 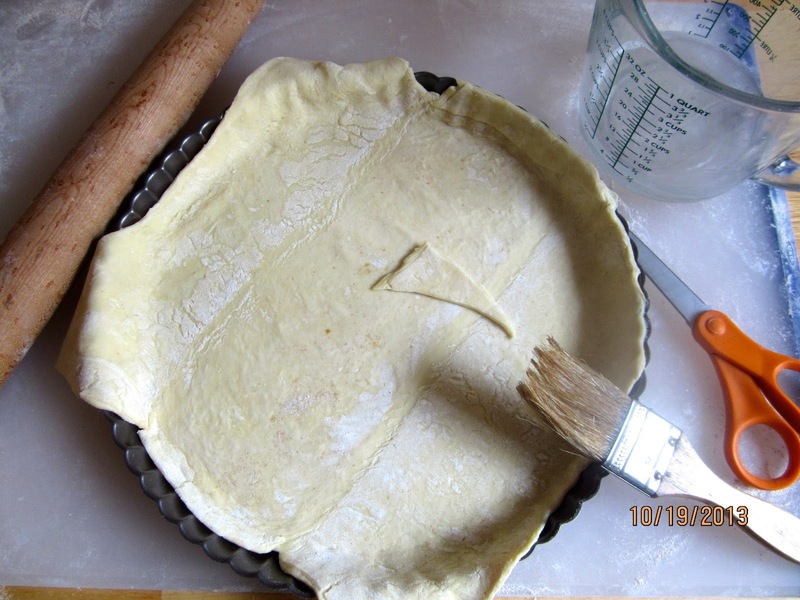 Roll out puff pastry until it fits 11″/28 cm springform or tart pan. Place puff pastry in pan, taking care not to stretch it, then trim the edges. 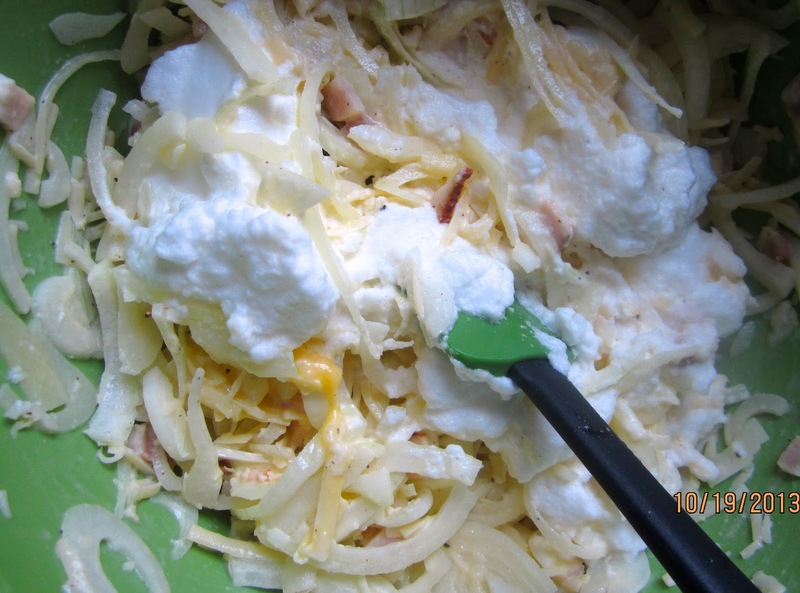 In a large bowl, mix together sliced onions (or leeks), cubed ham, egg yolks and grated cheese. Add cream and mix to combine. 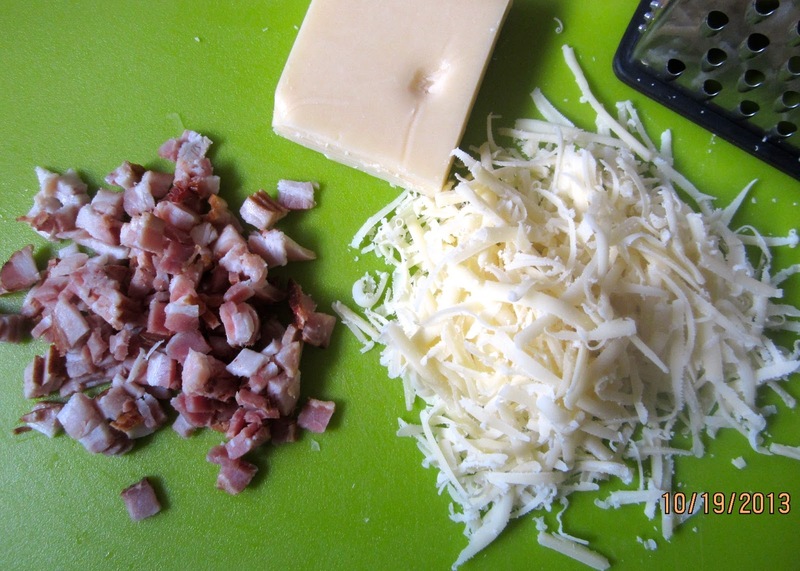 Season to taste with pepper (adding salt is not necessary – ham and cheese provide enough salt). Whisk egg whites until stiff. 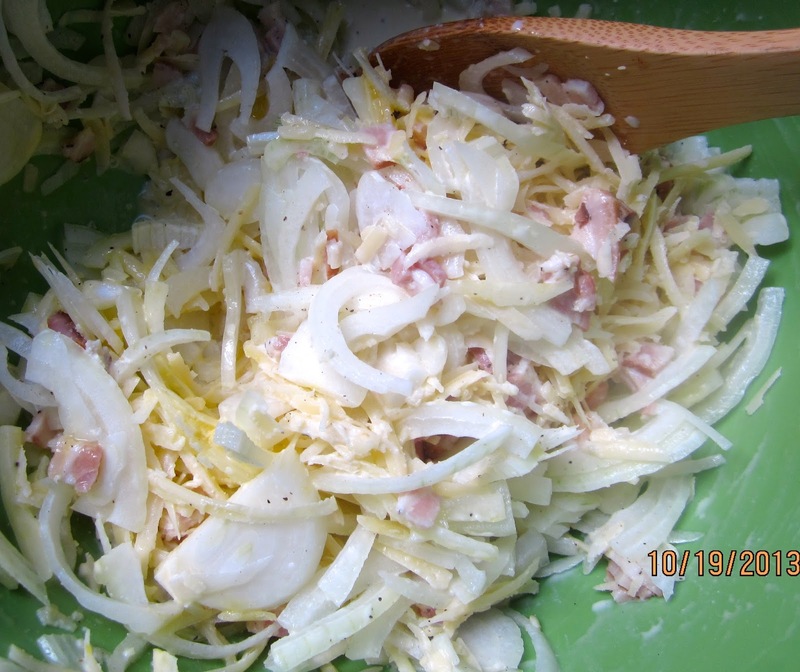 Fold them gently into onion mixture. Pour filling in springform pan and smooth surface with spatula. 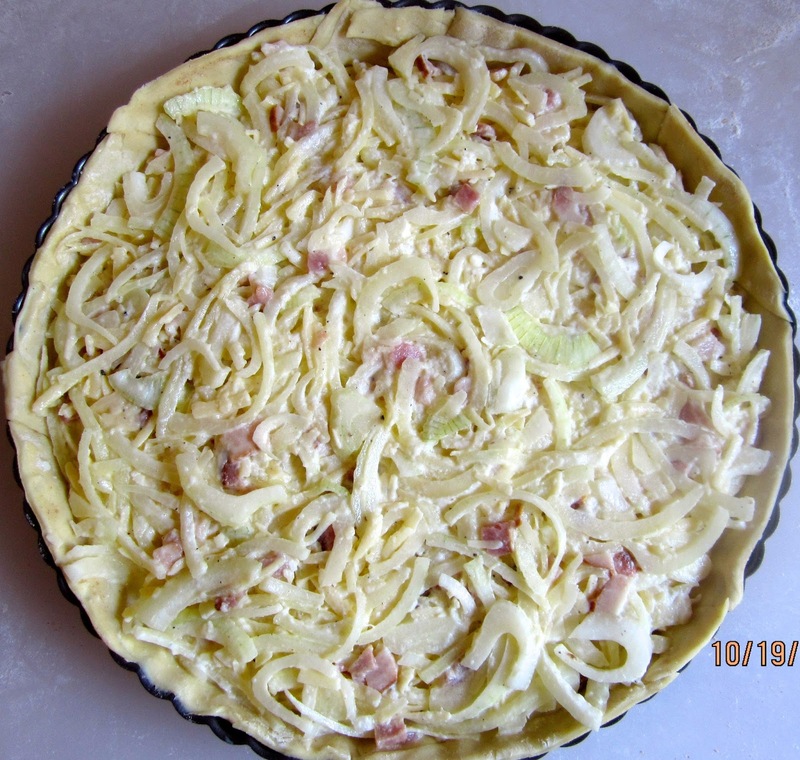 Onion Tart – ready for the oven! 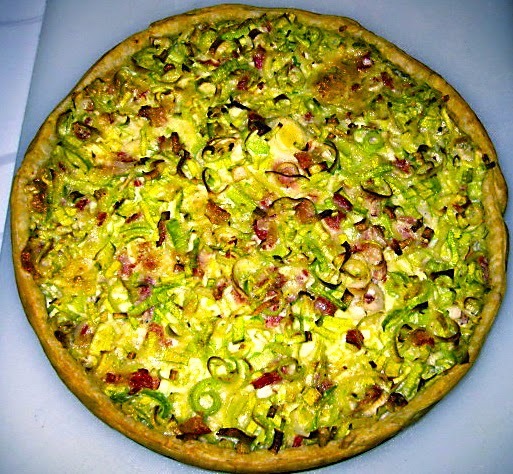 Bake onion tart for about 30 – 35 minutes, or until the crust is done, and the top is golden brown. For the unlikely case that you have leftovers: store them in the refrigerator and re-heat slices before serving. My friend Andrea from Hamburg gave me this recipe.